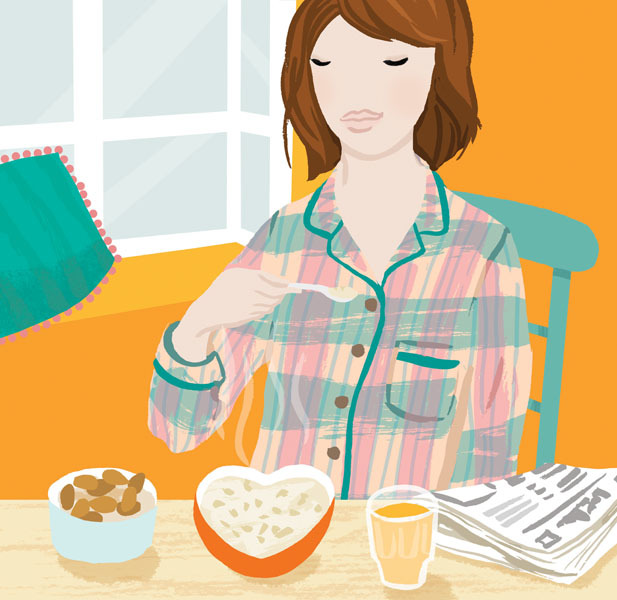 I was asked to create an info-graphic for BBC Good Food online which would explain just how much sugar is hidden in some of our favourite sweet snacks, and alternatives which are just as yummy but which contain measurably less sugar…especially important when it comes to what we choose to feed our children! 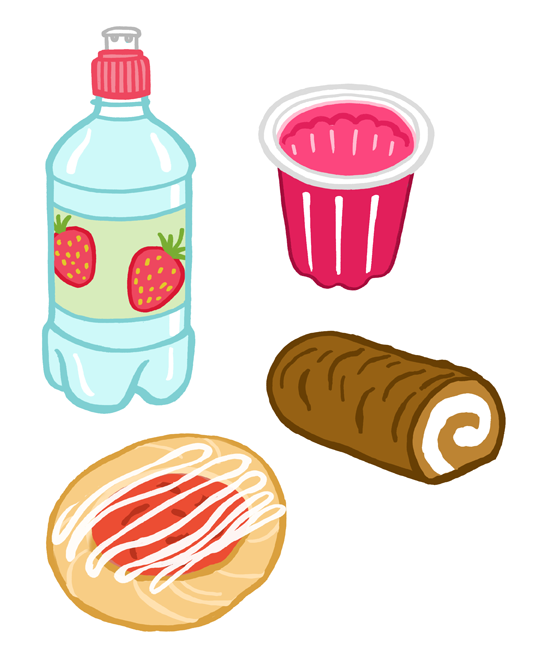 My concept was to use a slightly different style for the “high sugar” snacks and the “lower sugar” alternatives. 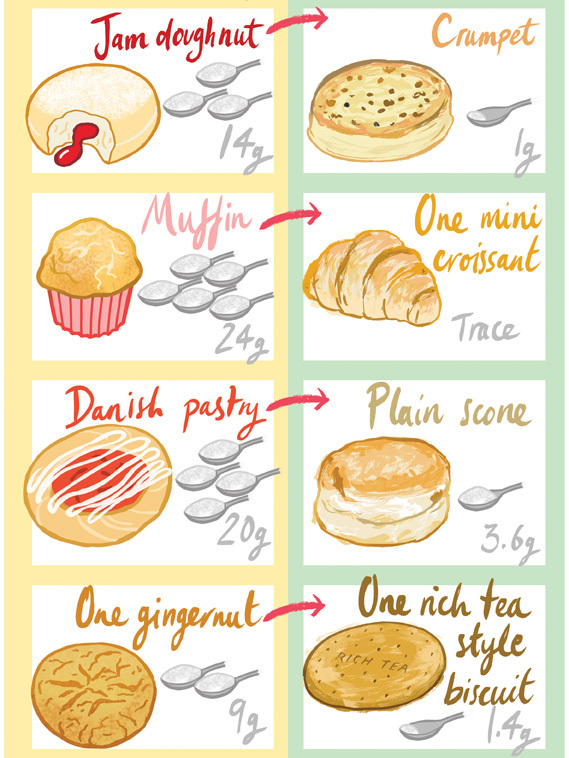 You can see that the foods we should swap to have a more naturalistic look, whereas, the ones which contain lots of sugar are drawn in a more graphic way to make them look a little bit less appealing! 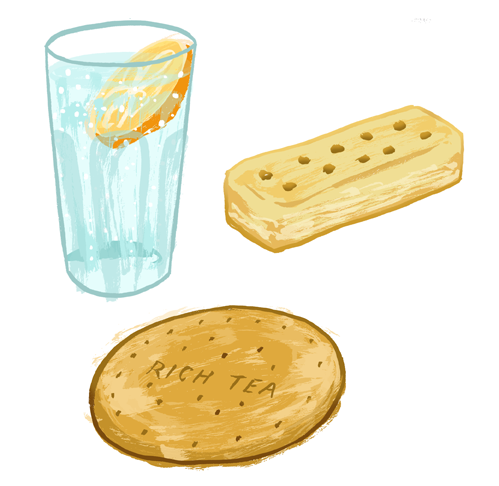 I really love drawing food, so this was a real gem of a brief. 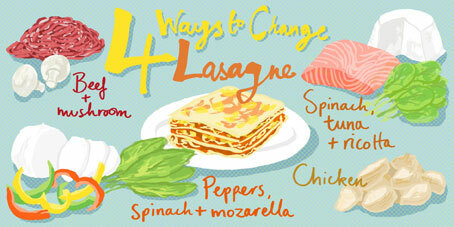 You can see the whole info-graphic on the BBC Good Food website, here. I have been really privileged to produce some of the illustrations for the new book by Professor Marcus du Sautoy who is the Simonyi Professor for the Public Understanding of Science and a Professor of Mathematics at Oxford University. My task was to re-create drawings and diagrams explaining various scientific phenomenon in a sketchy, yet clear way. How our brains can make us perceive things differently is such an interesting subject…have a look at the cube at the bottom there – does your brain tell you it’s receding or sticking out? There are so many fascinating concepts explained in the book, it’ll be coming out later this year and Professor du Sautoy is going to be promoting it at Woolsthorpe Manor, (just down the road from me handily!) which was the birthplace of Sir Isaac Newton, and where he later made many important scientific advances – including his discoveries about gravity and light – when he returned here from London to escape the great plague that was rife in the capital at the time. I can’t wait to take the opportunity to meet Professor du Sautoy in person and get myself a signed copy of the book…so I’ll be posting an update here as and when I do! 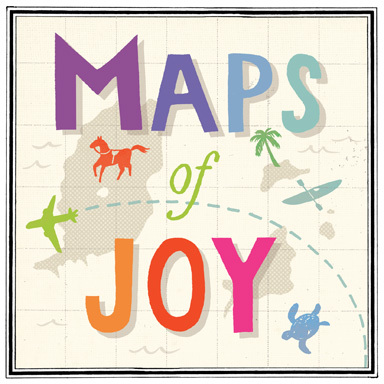 I am so delighted to announce that Maps of Joy has arrived! Maps of Joy is a brand new service I’m offering which allows anyone to easily commission me to produce for them a completely personalised map to celebrate or commemorate an event or place important in their life. You can choose which colour-way suits your taste best and then give me all the details that you want included on your map including the place names and even bespoke illustrative icons to jog your happy memories. Take a look at www.MapsofJoy.com and tell me what you think! 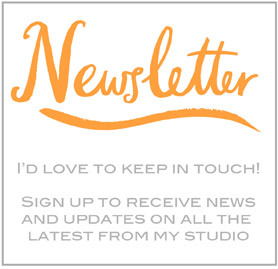 And as a special launch offer, all subscribers to my newsletter will be receiving an exclusive money-off coupon by the end of today, Tuesday 15th September. 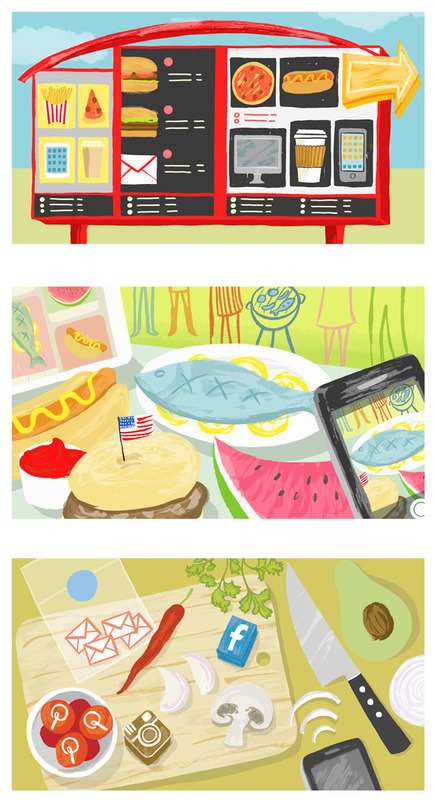 These 3 illustrations were commissioned to accompany stories about how large food companies are using cross channel marketing to open up a whole new way of reaching customers. 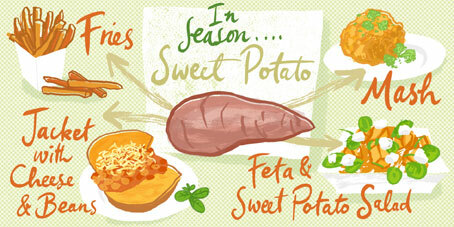 I’ve recently been commissioned by Cedar Communications to create ongoing illustrations for Tesco’s social media. 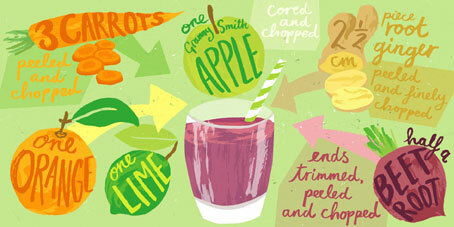 so I play with colour, texture and lettering until I’m happy that I’ve captured the uniqueness of the food or recipe I’m looking at. 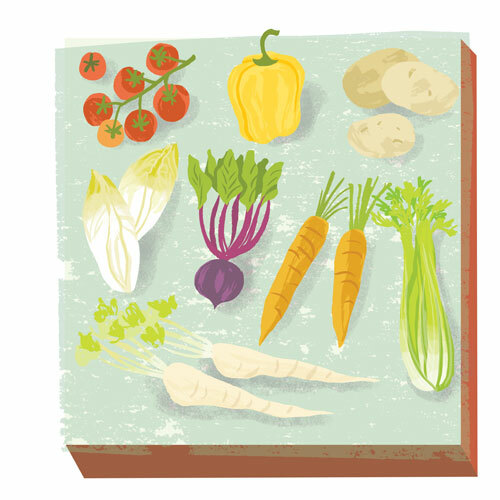 I think colour choice is vital in making the food look appetising and appealing and I particularly like working on the little vignettes and then arranging them within each composition. 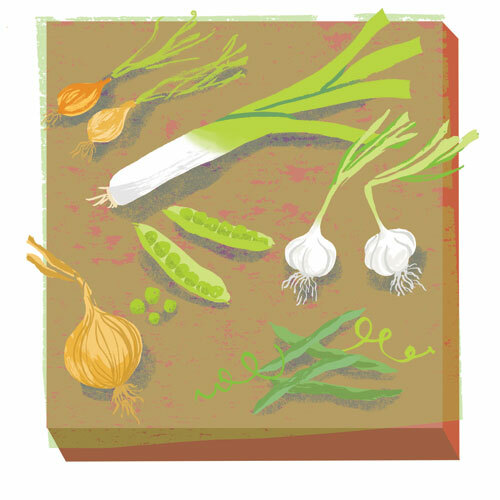 Just before Christmas I had a lovely commission from BBC Gardeners World Magazine to illustrate 3 sets of vegetables that are grown together in rotation to keep the soil in the raised bed healthy and happy. 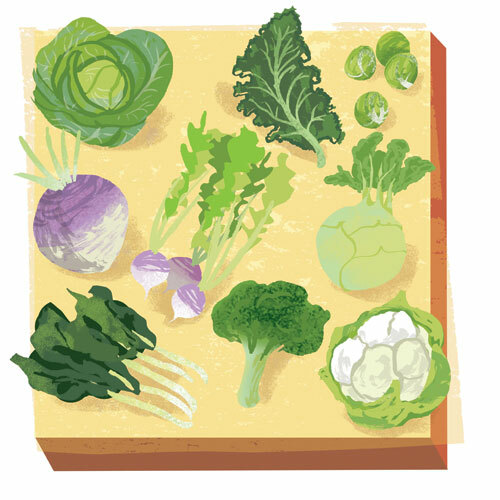 I used a screen printed texture for the background of the bed, each time altering the colour slightly to give a nice visual variation and to enhance the colours of the vegetables, letting it spill over the edges here and there to give it an organic feel. 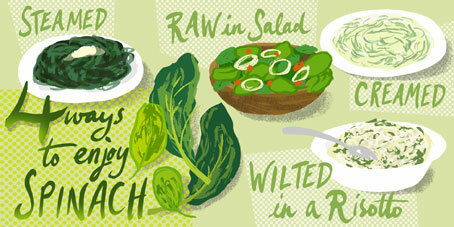 I also used a hand drawn line and texture created with my brush pen to then layer up each vegetable and finally added a subtle drop shadow to lift them all slightly. 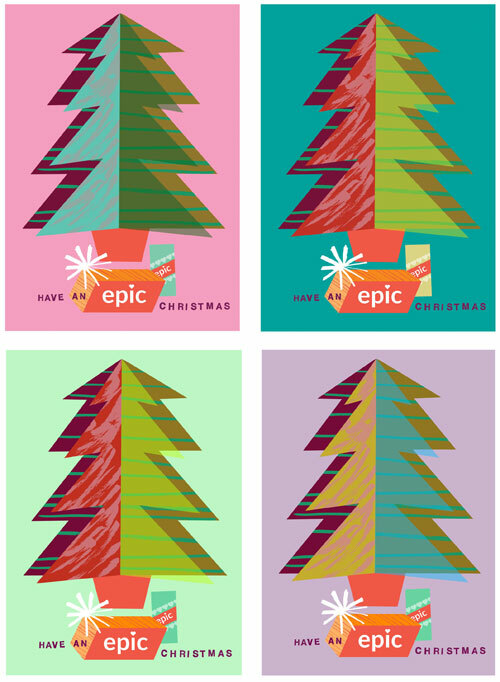 Their brief for me was to create their 2014 Christmas card by combining a festive tree with their logo plus the greeting “Have an Epic Christmas” and here’s what I came up with. 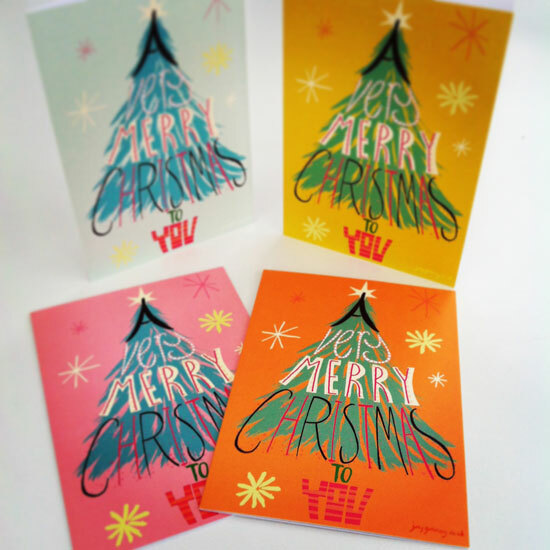 I designed 8 different colour ways which meant that when the card was sent to several people in the same company, they each had a different experience of it. All subscribers to my Newsletter, will have the chance to grab one of 3 sets of my Christmas cards which I will be giving away – in good time to be able to write and send them to someone special this festive season I should add! So, what are you waiting for? Go on, you know you want to! My paper workshops with a local school went down so well with the children, from the youngest to the oldest! The infants created their own seaside bunting and the juniors made personal “holiday journals” to take away and write and draw in. What I loved was seeing their creativity, which comes so naturally to all children – even the ones who didn’t normally do “crafty” things were so pleased by what they had created by the end of the workshop.